In my previous post I talked about how I had to reduce the clutter on my call sheet mid-season to fit my eye on what our offense had evolved to, to give our kids the best chance possible to be successful. It also caused some changes in the way we game planned and produced our scripts for practice weekly. Game planning is just as much an art as it is a science. Again, how do things fit your eyes, your thought patterns, your philosophy, and your trust level with the other members of your staff. 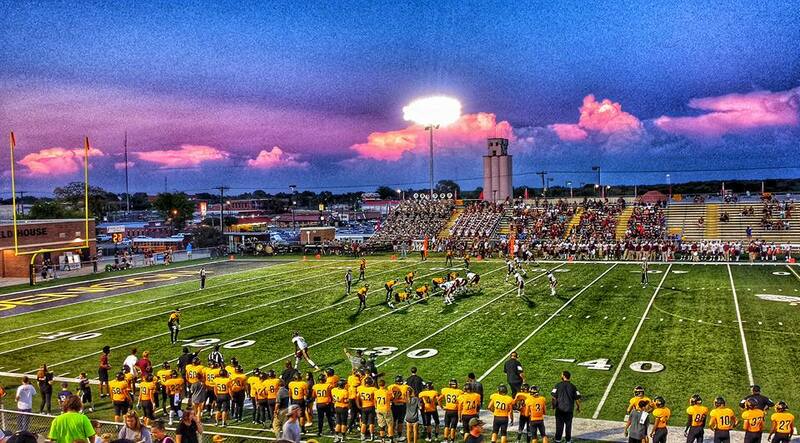 The majority of our games are played on Friday nights. With HUDL we often times have video (at least one angle) of that night's game ready to watch almost as soon as we get back to the field house. For me, I may watch very few of the critical plays right after our game. Win or lose, I need a little decompress time so I hold off until Saturday morning to evaluate. I would say 99% of the time the saying of "you didn't play as good or as bad as you thought you did" holds true when you evaluate the film. We evaluate each offensive position on execution of their assignment and effort. As a staff we also talk through things we could have done better before we correct/encourage our kids a little while later as an entire unit. When we are done with our athletes on Saturday, I continue basic prep for our next opponent. If the opponents in your district have not taken advantage of the LEAGUE EXCHANGE tool on HUDL, you are missing out. You have immediate access to all of your league's game tapes, once you have uploaded yours. For example, we play Sherman week 10, but Saturday morning after week 1, we have their week 1 game tape, along with the rest of the league so you can begin game planing as early as you want to, not that I do that. 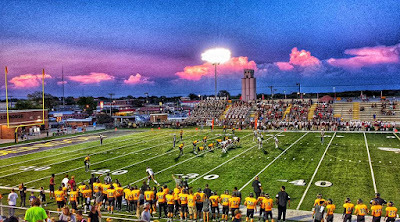 I will watch an opponents last 2 games very quickly on Thursday, after our kick-the-field/O-D review practice, prior to that nights 9th/JV game. I am not looking for specifics, just general scheme information and any obvious personnel mismatches (good or bad) or anything that just jumps off the screen. Then I will do the same thing on Saturday evening with the game that was played on Friday night, again not looking for any specifics, just trying to get a feel of the defense and personnel. We meet as an entire staff on Sunday afternoon at 2:00 and we stay until we have our work done. I have never worked for a head coach that believed in just being at the field house so people could see our vehicles parked there, so when we are done with our work we go home. Some weeks its earlier than others, but when I leave I will have practice schedules done for Monday and Tuesday, complete with scripts for our TEAM RUN, 7-on-7, TEAM PASS and TEAM periods. I will have Wednesday practice schedule done, but scripts not complete until after Tuesday practice so we can make adjustments as we feel needed after watching Tuesday practice film. Once I have inputted those fields myself, I run the reports on HUDL. I look at the past 3 games individually, and then a season tally of all the numbers. Again one of the reasons that we had to tempo was because some of our very lopsided tendencies particularly in the run game. We knew it, they knew it. Tempo doesn't defeat that, but it does eliminate some thinking time for an opposing coordinator and any of those kids we call coaches-on-the-field. It did give us some vanilla defenses. We did not see much blitz, but we did see some flat foot safeties at 7 yards every week! Because of the 9 man box look with the safeties down, our #1 pass was play-action-4-verticals from every formation, motion, play fake possible. We did not have ANY blazers running the numbers and hashes but the tempo and our ability to keep moving the chains did cause some bad eye discipline at opportune times on defense and each week we knew we were gonna have some shots to hit big passing plays. When I was done with the self-scout (usually took me 30-45 minutes), I began to narrow my focus on the next week's opponent. The first thing I would sort and watch were all plays that scored a TD against the defense, as well as any explosive plays (runs over 12 yards, passes over 16). I want to feel good about the game plan. I am an eternal optimist. It hasn't mattered to me whether we were 10-0 or 2-8, if I had to scout the 85 Bears I was gonna feel good about a plan to make our athletes successful. I think this is a huge part of my weekend flowing on a track to building a successful unit. What offensive coach doesn't think he can score half a 100 every week??? Sometimes you have to trick yourself, but I believe in it. I had 2 main scouts that I relied heavily upon in this process. Shona Taylor was my formations guy. Casey Price was my secondary alignment guy. Both of these guys took a lot of personal pride in their job performance every week and gave me EXACTLY what I needed. For both formations and secondary alignment, I would look at the last 3 opponents. Luckily for us, several of our opponents played against offenses that aligned similarly enough to us that we could get a good feel for where they were going to be. I would have a feel (but not precise) for where we would get a 3 technique on 4 man fronts, or a 4i on 3 man fronts. I left that up to our offensive line coaches (Brandon Cates, Josh Knox @CoachJoshKnox) to give me specifics when we met as an offensive staff later. Secondary alignment was huge for me. I needed exact information. I asked for distance from the line of scrimmage and whether they were aligned to the field or to the boundary. For example if we had a Cover 2 corner sitting outside leverage at 5 yards depth, Coach Price would input 5b (b for boundary). I would watch all clips by the position of the corners to see how it affected the safeties. Because of the tempo, we didn't see a lot of movement post-snap. We got what we saw pre-snap. After I watched the breakdown by secondary alignment, I would go back and watch the formation break downs and look for any tweaks and twists by down and distance. This would get me close to the 2:00 meeting. After the general staff meeting at 2:00, I would meet with our QB/HC Chad Rogers (@CoachChadRogers) and WR coach Joel Luper (@LuperJoel) and we would make sure we were all on the same page and seeing everything with the same eyes. Again we all trusted each other, knowing that we had spent the time in watching film individually, so when we came together as a group we were not just spinning our wheels waiting on somebody to get caught up to speed. We could look at specifics. We could narrow in on short yardage situations, or specific motion adjustments, or how we thought they may adjust to a funky formation that we had in mind that week. During this time, we would also set our formations for the week. We got to the point where we were not signalling in formations, only the play concept. This was a huge factor in use going faster. So on Sunday we would have a chart and run through all of our personnel groups and by concept and match it with the formation/motion we wanted it paired with that week. So if we were in our 11 personnel group (1 back, 1 H, 1 slot, 2 WR) we would start with POWER. The H was always gonna align to the side of the power. He was our kick guy. Some weeks the back would align same side, some weeks the back would align opposite side. This is where our self scout came into play. If we wanted to try and bust some tendencies, we would mix things up. On our counter play, some weeks we would pull the backside guard and tackle (the H could align strong or weak), some weeks we would pull the guard and H.....it just depended on what picture we were trying to distort to the defense, and so on and so on with all of our schemes (buck sweep, inside zone, outside zone). We would get funky and go WR over sometimes if we thought it would get us an advantage. Often times, we would tell our slot that he was to align to the "fastest side" meaning if the previous play took you to the right, then get your tail lined up on that side for the next play. With our normal personnel groups, we were not trying to get pull reads so we were not overly concerned about the conflict player on the backside so just get lined up as fast as possible, whether it be front side or back side. When we were Wildcat, we would be a lot more specific with the slot because of pull reads and needed an extra hat backside, or expansion of the conflict defender. Our slot and our Wildcat QB (who ended up aligning as the slot) had both spent time as a QB in our program all the way up to the JV level. They had a very good understanding of what we were trying to get accomplished and it allowed us to move fast and be in a good position for our offense. At 3:15, our OLINE coaches came back to us and we met as a complete offensive staff. We would communicate to those guys any information they needed to know about formations, and then we would discuss any changes or additions to the run game and get squared away with all protections. This was the last time we would meet as a group before Monday practice so it was imperative that we all left on the same page, seeing things through the same set of eyes. A good example of how we would clean things up at this point....one Sunday we had some great stuff drawn up on the board as skill guys. We tied it all together with protections and scheme. The OLINE guys come in, soak it all in, and then they let us know that we had just now drawn up six different pull paths and techniques for our guards. There was no way to effectively and efficiently practice six pull for our guards so we pencil whipped a couple of protections and got things down to a reasonable number for the OLINE. We would break and eat as a staff after this meeting. After the meal, we were on our own to get our work done and be ready for Monday morning. I will go over practices and game plan add/deletes in a few days.